You pay auto insurance premium for years on end but it’s very difficult to know how the insurance company will honor its end of the bargain when you have a claim. If you just go by your own experience, you will have very few data points to draw any meaningful conclusion. If you go by what you read on the Internet, you don’t know how representative those experiences are. The reports could be typical, or they could be an exception. People tend to write when they have a negative experience, which could very well be an exception for that insurance company. Still, I’d like to add one more data point to the collective pool of information. Someone backed into my car in a parking lot. It was pretty clear cut he was at fault. Because the impact was at low speed, my car was perfectly drivable. We exchanged information. His insurance company was Chubb. I called Chubb and reported the claim. A few days later, after confirming with the other driver, Chubb accepted liability. I took the car to a body shop. 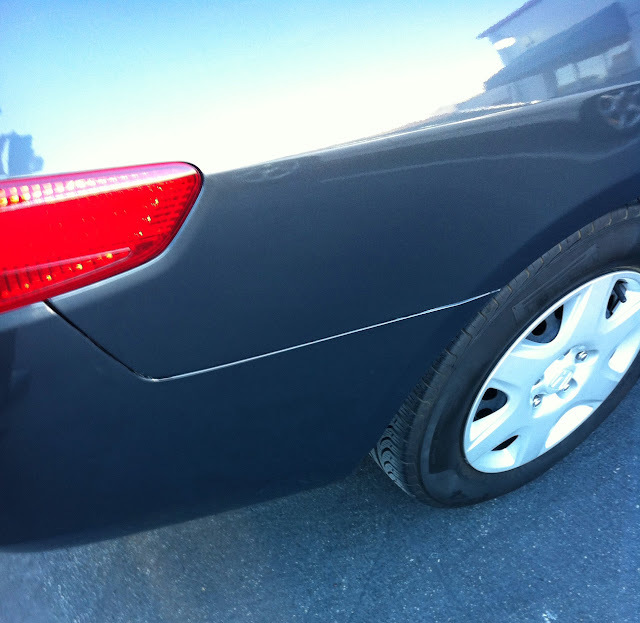 Although the damage looked small to me, the body shop came up with a $5,500 total cost to repair it. Because the insurance company is responsible for paying it, I wasn’t alarmed by the high estimate. Then I looked up the Blue Book value of my car. The value for one in good condition is worth $4,800 in a private-party sale or $3,700 in dealer trade-in. If the insurance company goes by the Blue Book number, they could declare the car as a total loss and offer to pay me $4,800 and take the car. If I want to keep the car, they would only pay me the difference between the salvage value and $4,800. Because the car is perfectly drivable, the salvage value from selling parts could be quite high. Either option would be undesirable to me. If I try to buy a used car with the $4,800, I wouldn’t know what I’m getting into. My car has been perfectly reliable. As far as I can tell, it still has half of the drivable life. If I keep the damaged car and get say $1,800, the money isn’t enough to repair the car. I became a little worried that the insurance company would declare a total loss on my car. A few days after the body shop faxed the repair estimate to Chubb, the adjuster called me saying they would send someone out to look at the damage. No problem. When a contracted appraiser called me, we arranged a date and time. He came to my office parking lot. He took pictures and took notes. The next day he asked me to send him the estimate from the body shop. I scanned it and emailed it to him. After about another week, the adjuster called again. She said their contracted appraiser came up with a repair estimate of $5,400 and deemed it a total loss. However, she sought and got approval from someone higher-up and overruled it. They would pay me $5,400 to have it repaired. I went back to the body shop. They accepted the insurance company’s estimate. A week later I got my car back. Now it looks as if the damage never happened. If this is typical for Chubb, I say they are very fair. I wasn’t even a policyholder. Besides the inconvenience of having to spend time on the claim and repair, I was made whole from the incidence. I would consider getting a quote from Chubb next time my auto insurance comes up for renewal. That is an unbelievable cost for that little amount of damage! That is an unbelievable cost for that small amount of damage! I am glad for the happy ending. You once wrote a post on how to find the best and cheapest auto insurance company in each state. Are you still using the method? How to apply that method in Washington state? Thank you. I still use it to draw up a short list of companies I get quotes from. It’s not perfect. I have to come up with a short list somehow. Chubb has a great reputation of paying and less hassle. I have switched my insurer from State Farm to Chubb. But expect to pay double what the mass insurers are quoting. To me is worth it knowing they don’t screw the policy holders when you need the insurers the most, after an accident. Jon – Thank you for sharing. In a way I was lucky to have been hit by a Chubb policyholder. I agree if you don’t have a claim it makes little difference in what insurance you have. What really counts is when you have a claim. Having good insurance not only protects yourself but also the party you are liable to. $5,500 seems high, I wonder if you couldn’t have taken the salvage money, gone to a cheaper place and pocketed the difference or not fix it at all and kept the money. The latter is honestly probably what I would have done. Mental accounting and status quo bias are at play here. I wasn’t planning to have my car hit and trade some body damage for cash. As long as I get back to the state before the incident I’m happy. If I caused the damage myself, I wouldn’t spend $5,400 of my own money to fix it. I probably wouldn’t leave the big gap there but I wouldn’t spend a lot on paint and finish. Such is the difference between someone else’s money and your own money even though you are free to keep it just the same. That looks like a Green 2003 Honda Accord like I drive… These cars are like energizer bunnies that keep going and going and going….I have 165k miles on mine and plan to keep driving it until the wheels fall off. I removed the collision/comprehensive off of it 4 years ago…. This car is very inexpensive reliable transportation I see why you want to keep it. Somewhat related to your comment on Chubb treating you fairly even though you are not a policyholder. 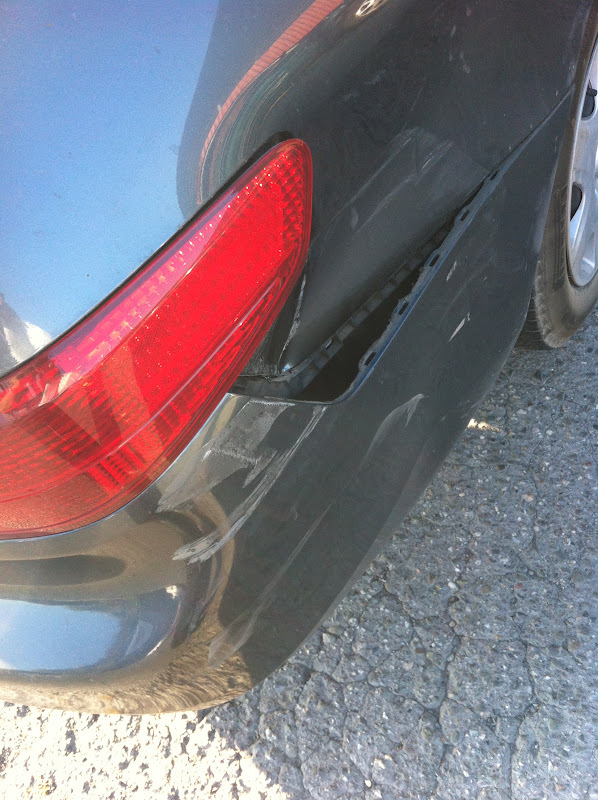 Wife’s car was rear-ended last yr. We were not at fault and there was minimal damage, but there were some doctor bills. The other party’s insurance refused to pay for any of our bodily injury bills (which is distinctly separate from prop damages). We did not involve lawyers as it was a very minor case and we were trying to be upfront and honest. After 6 months of haggling with the insurance company, they only offered a few hundred which we felt was not right as we spent way more out of pocket. Left with no choice, we sued – not the company, but the other driver in the accident (can also sue the registered car owner if different from driver). Other driver was upset she had to go to court to face off on a claim her insurer should have covered. Something to think about when you buy insurance…picking a reputable company can save you some headaches later.